For articles about other railway lines named Coast Line, see Coast Line. 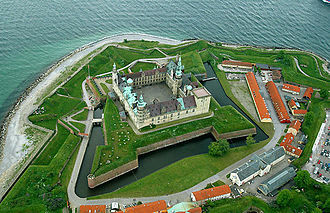 The Coast Line (Danish: Kystbanen) is a regional railway line between Helsingør (Elsinore) and Copenhagen in Denmark. It was opened in 1897, and it is today the busiest railway line in Denmark. 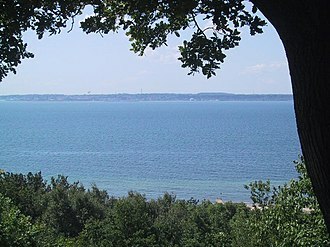 The Coast Line, along with an extensive network of railways in Scania, are run by DSB Øresund, part of DSB. 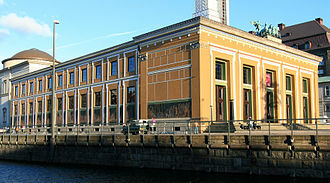 Its original terminus was Østerport Station, but when the station was connected with Copenhagen Central Station in 1917, the terminus moved there. 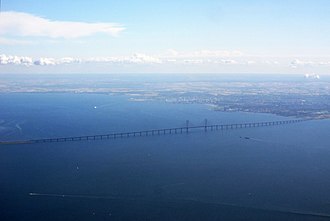 When the Oresund Bridge opened in 2000, service extended to Malmö in Sweden, though the section between Copenhagen and Malmö is a separate railway, the Oresund Line. 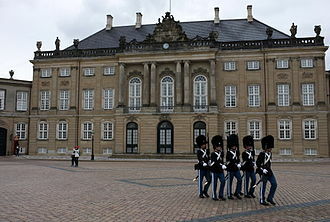 The railway services some well-known sights and locations such as Louisiana Museum of Modern Art in Humlebæk, Kronborg Castle in Elsinore, and Dyrehavsbakken in Klampenborg. Kystbanen is now an integrated part of (and served only by) the Oresundtrain network which also serves southern Sweden. 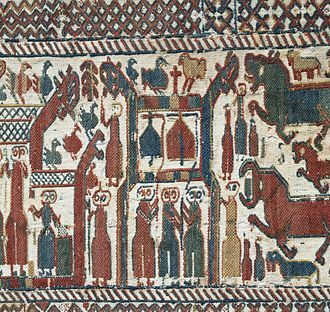 Plans for a railway between Copenhagen and Helsingør (Elsinore) had been proposed since the childhood of railways. The North Line was built though Helsingør in 1864 and in 1863 the connection between Copenhagen and Klampenborg Station as a sort of daytrip and tourist route. 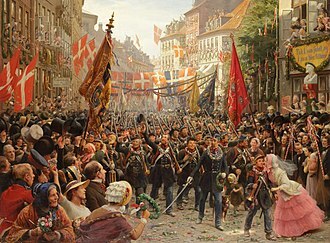 In 1890 the Minister of the Interior, Hans Peter Ingerslev (Conservative People's Party), a proposition of a state railway between Klampenborg and Helsingør, but it went four years of discussion and negotiations before the surveyors could stop their work and the construction workers enter the field. 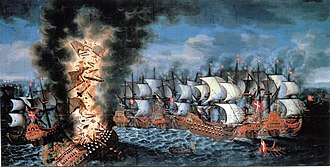 The Ministry of War wanted to have a railway to Vedbæk, as long as it wasn't built so close to the coast that it could be bombarded by a foreign naval fleet in Øresund, and as long as the railway could be removed quickly. 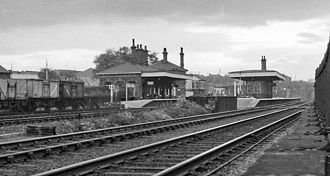 The Forestry Department didn't have any objections against the railway as long as not even a single tree was cut down. A number of citizens also were active in the debate about the choice of route and placing of stations. 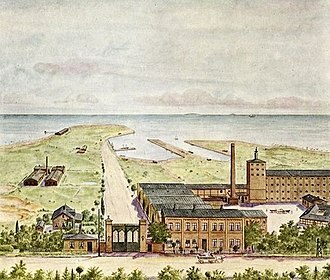 Because of rules decided by the Ministry of War, the railway had to go in a large curve out over the lakes to Nørrebro and onwards towards the Øresund Coast at Hellerup. Hellerup station was built in the 1860s because it was where the North Line and the Klampenborg Line split, and not because there was a need for a station at the place. 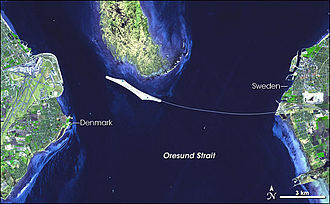 In 2007 the Danish government in cooperation with Skånetrafiken announced it would invite transportation companies to take over the Coast Line. Several European operators most notably SJ, Arriva, Connex, and DSBFirst. 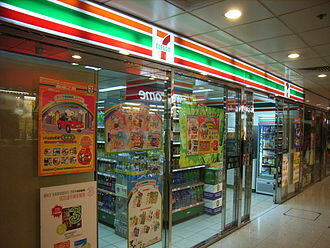 DSBFirst won this bid due to their plan of introducing 7-Eleven to the majority of stations, keeping the current system of permanently staffed trains, and promising better scheduling. Moreover, there was a sense that it was more convenient because DSB already had trains suited to operate under the two different volt systems used for railway electrification in Denmark and Sweden. Despite serving food and coffee for passengers on their first Monday of operation, they did not win over passengers as the trains were delayed and packed. For the next few months the trains had an average delay percentage of 10, causing outcry among frequent passengers and a massive drop in rating. As of June 2009, DSBFirst managed to regain much passenger support through fewer delayed trains due to a change in timetables and better education of the train managers. The unique feature of the Coast Line is that despite that there is only between three and six minutes between each station, it has not been operated by S-trains. Lately the line has been operated by modern and comfortable trains, including DSB's first electric locomotives, litra EA (on the Coast Line since 1986) and the new electric regional train litra ER and litra IR4, that both started service the Coast Line in the mid 1990s. 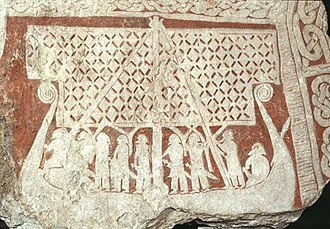 Today the main service on the line is Oresund trains that operate between Helsingør via Copenhagen and Copenhagen Airport to Malmö in Sweden and ER trains between Nivå and Kastrup. In rush hour, these trains are supplemented with higher speed commuter train operated with various stock. Electrification of the railway started in Nivå in 1982 and was completed on 19 March 1986 when the electric operation was initialized with litra EA locomotives. ^ a b Damgaard, Kjeld (1997). 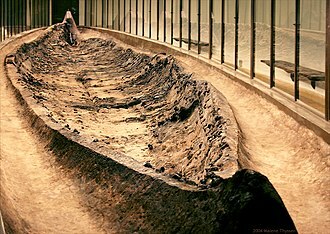 Kystbanen og dens omgivelser, Klampenborg-Helsingør i anledning af Kystbanens 100 års jubilæum 2. august 1997. 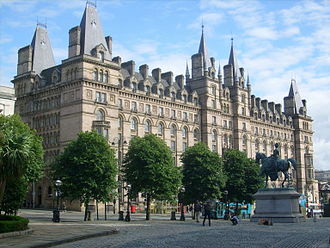 Arriva is a multinational public transport company headquartered in Sunderland, England. It was established in 1938 as T Cowie and through a number of mergers and acquisitions was rebranded Arriva in 1997, Arriva operates bus, train and waterbus services in 14 countries across Europe. 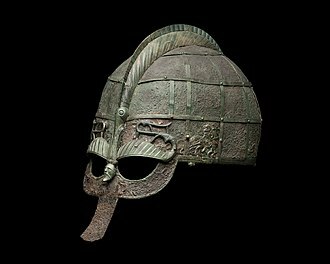 As at December 2015 it employed 55,000 people and operated 2.2 billion passenger journeys annually and it operates as three divisions, UK Bus, UK Rail and Mainland Europe. The company was founded by TSK Cowie in Sunderland in 1938 as a motorcycle dealer trading as T Cowie Limited. In 1948 the business was re-launched by Tom Cowie, the founders son, T Cowie plc was floated in December 1964, and in 1965 it bought out the first of many car dealerships. In 1972 it formed Cowie Contract Hire, which became the largest contract hire business in the UK, in 1980 T Cowie made its first foray into bus operations, buying the Grey-Green operation in London from the George Ewer Group. In 1984 T Cowie plc acquired the Hanger Group, which included Interleasing, further leasing companies acquired were Marley Leasing, RoyScot Drive and Ringway Leasing. Following the retirement of Tom Cowie, the company was renamed Cowie Group plc in April 1994, as part of the privatisation of London bus services, Cowie Group acquired the Leaside Buses and South London Transport business units in September 1994 and January 1995. Cowie plc bought United Automobile Services and British Bus in July and August 1996, as a result of these transactions, in October 1996 Cowie Group was reclassified on the stock exchange from a motor dealer to a transport group. 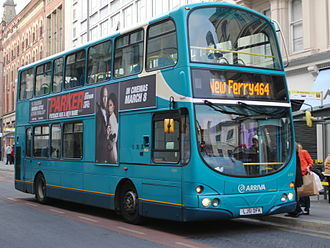 In November 1997 the company was rebranded as Arriva plc, in that year it bought Unibus in Denmark, its first venture outside the United Kingdom. In June 1999 Arriva sold its business to General Motors. 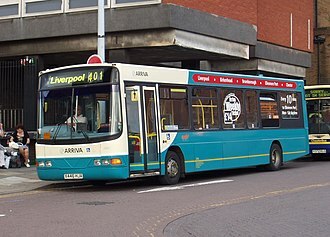 In February 2000 Arriva purchased MTL Holdings, which included its first UK rail franchises, Merseyrail Electrics, in 2002/03 Arriva sold its motor-retailing businesses and in February 2006 it sold its vehicle-rental business to Northgate. 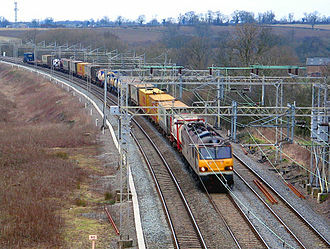 In April 2008 the LNWR train maintenance business in England was acquired, in 2010 it was reported that the government-owned railway companies of France and Germany were considering making takeover bids for the business. 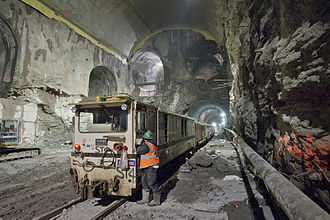 The Bayerische Oberlandbahn near Munich is operated by Veolia.